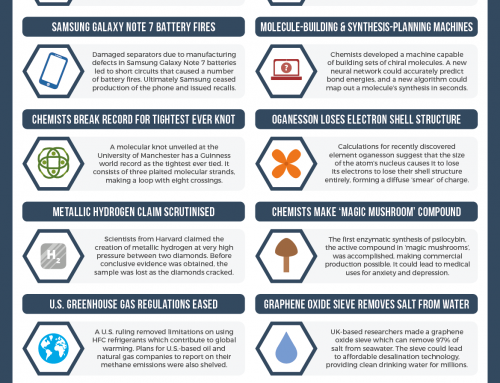 2016 has been a shambling horror of a year – to try and take our minds off of it, we’ve already looked at some of the biggest and best chemistry news stories of the past 12 months. 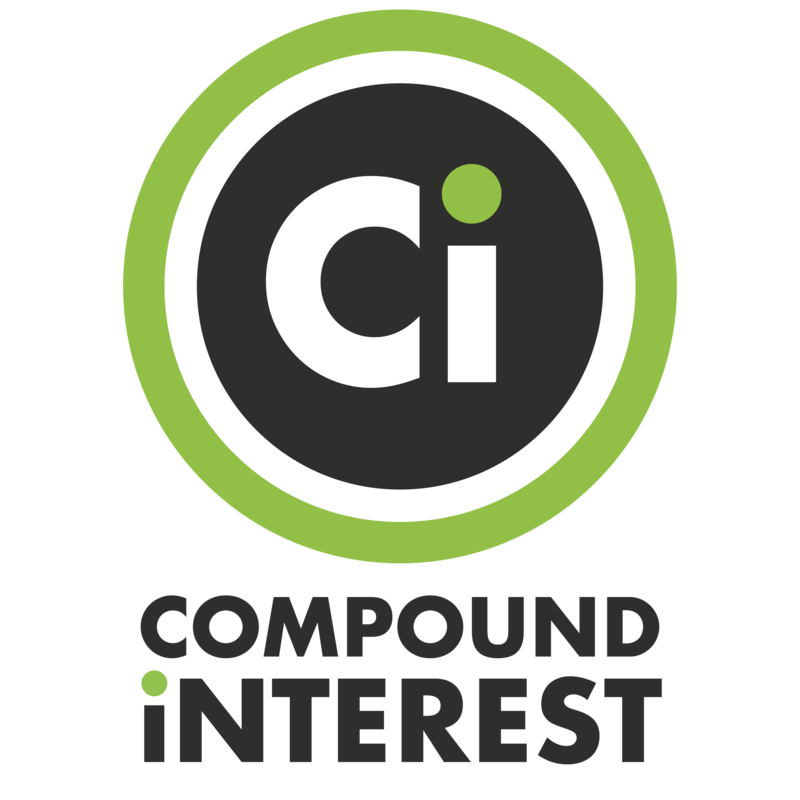 To further wipe 2016’s essence from the doorframe as it leaves, here’s a look back at some the highlights from the past year of Compound Interest’s posts. 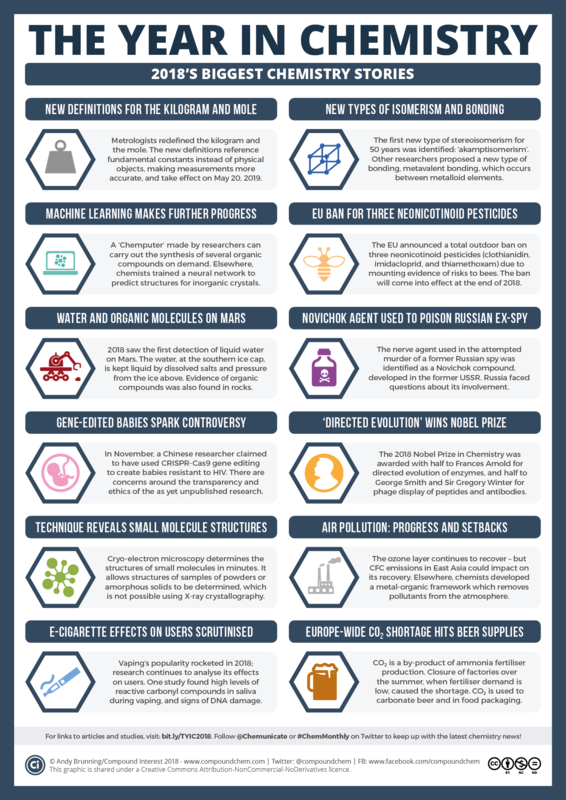 From a chemistry perspective, 2016 actually started with some great news. After years of research, the discoveries of four new elements were confirmed: elements 113, 115, 117 and 118 were cleared to be added to the periodic table. Yes, I know that technically this announcement was made on the last day of 2015, but frankly, 2016 needs all of the good news it can lay hands on, so I’m claiming it. 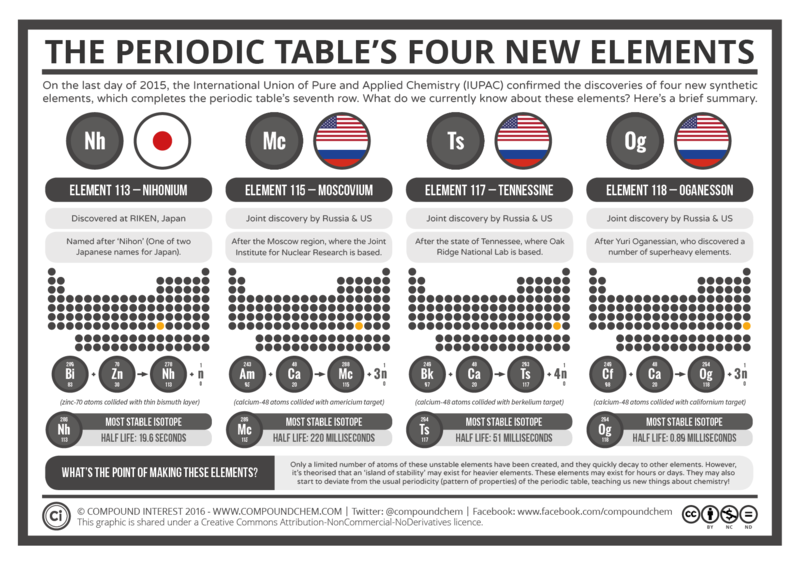 The naming of these elements did come later in 2016; they were named nihonium, moscovium, tennessine and oganesson, and you can learn more about them with the graphic (above) which I made for the occasion. There’s also an updated version of the CI Periodic Table of Data which includes the new elements. This is, admittedly, a token gesture, as there’s not a great deal we know about these elements as yet, but on the plus side if you’re a teacher it does mean you’ll never have to explain placeholder symbols names again. Until chemists get to work discovering elements beyond period 7, anyway. The element-naming process produced more graphical fruit throughout the year. 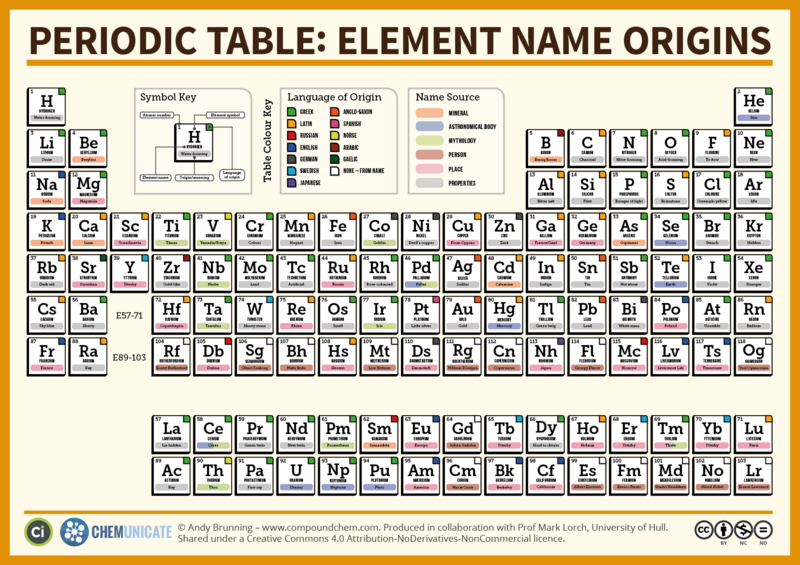 This graphic on element name origins (below) was born out of a collaboration with Professor Mark Lorch from the University of Hull (he did the hard work, I made it look pretty). There was also a slightly more irreverent look at rejected element names, which left me pining for an alternate universe where pandemonium is the name of an element as opposed to the world’s general state. Unfortunately, we didn’t get to ride the early feel-good chemistry news wave for long before 2016 got its teeth into it. On January 5, a state of emergency was declared in the city of Flint, Michigan, in the United States, due the presence of high levels of lead in the drinking water. This chemical catastrophe was due to mistakes in the water treatment process when the city’s water supply was switched to come from the Flint River (back in 2014). 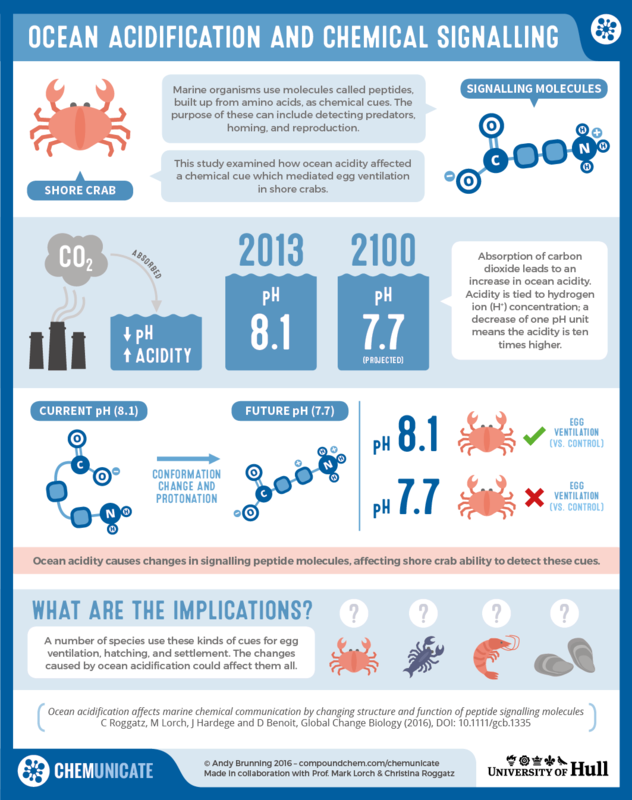 I put together a brief explainer on the ongoing crisis (below), as well as a more general look at the different steps involved in water treatment. The problems are still far from being resolved, and it’s likely we’ll hear more about Flint during 2017. 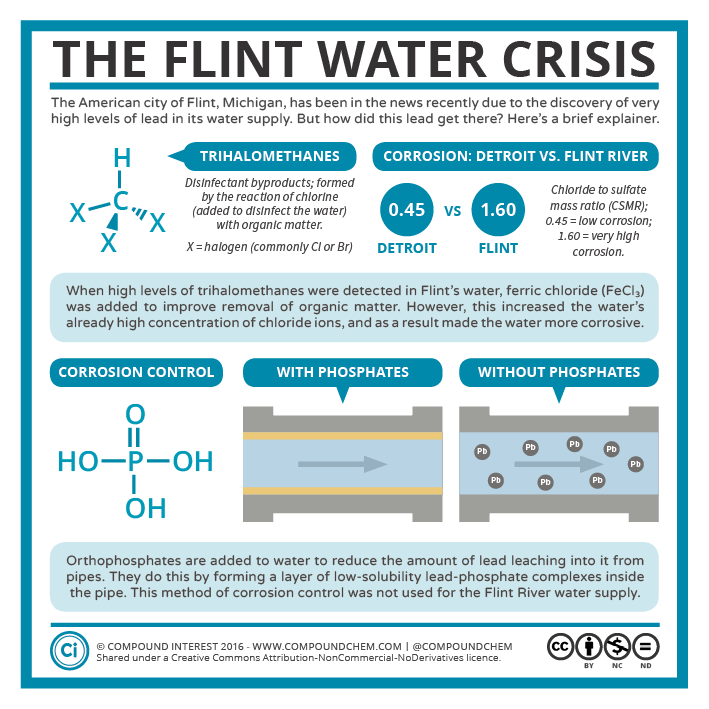 Flint wasn’t the only place to be struck by water chemistry problems. The Olympics in Rio were hit by the slightly more benign issue of the water in their swimming and diving pools turning a vivid shade of green during the competitions. Though fingers were pointed in a number of directions, with algal growth and copper salts making the prime suspect list, the definite reason for the colour change still remains a mystery (which is why there was never a CI graphic on the topic). In all honesty, any confidence in the Olympics officials responsible being able to determine the cause did take a hit when a spokesman amusingly claimed that “chemistry is not an exact science”. The Olympics didn’t escape completely uncovered by the CI graphics, though. 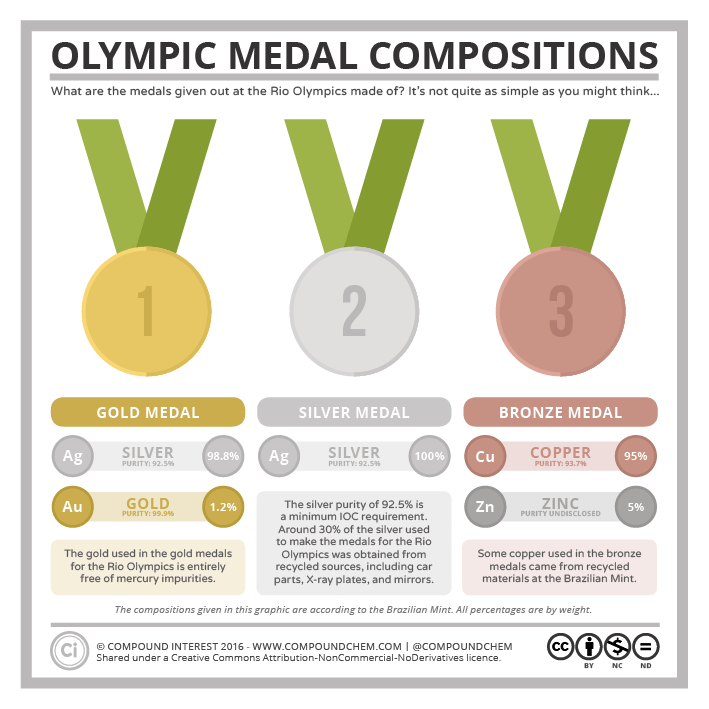 First there was a graphic looking at the composition of the medals being awarded at the ceremonies (above) – in short, the bronze medal isn’t actually bronze, and the difference between gold and silver is less than you might expect from a chemical perspective. Then there was the doping scandal which hit the Russian team, with a graphic I made for C&EN lifting the lid on the chemical cocktail Russian athletes had used at previous Olympics to try and get an edge. I also took a more general look at doping in sports here. Anyway, that’s quite enough news-related items. There’ve also been plenty of graphics NOT based on the news! Food and drink-related graphics have always been a big part of the site, and that didn’t change in 2016. Topics covered included bread baking (below) and the smell of bread, eggs, chocolate, fruit acids, canning, and vodka. One of my favourite projects of the year was taking part in this year’s Pint of Science festival, which involves the perfect marriage of concepts: people talking about science in pubs. 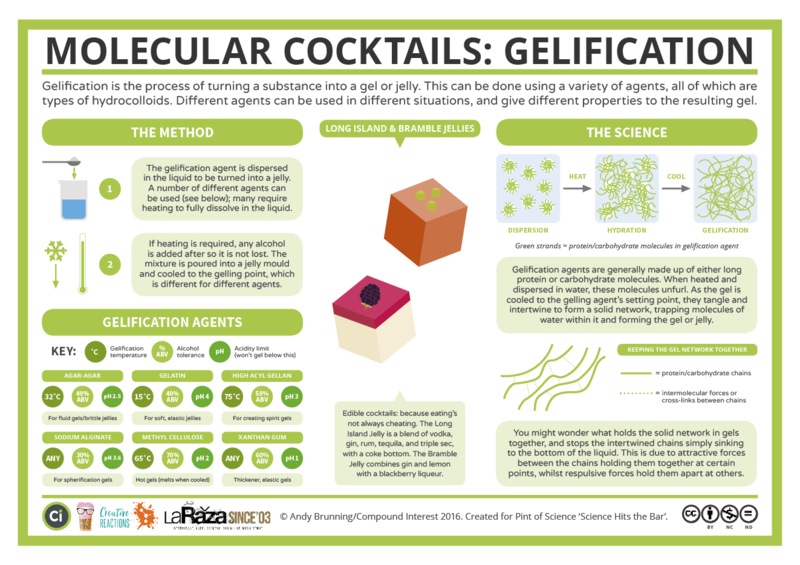 My talks in Cambridge were on using chemistry to craft cocktails with a twist, an added benefit being that we got to make and drink them while discussing the science! Below is one of the three graphics I made to accompany the talks. 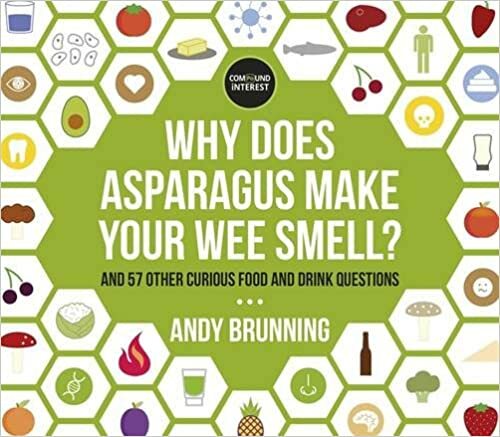 The first Compound Interest book, “Why Does Asparagus Make Your Wee Smell?” was of course based around food chemistry, and has continued to do well. Published in the UK last year, it’s since been published in the US too, as well as in French, Japanese, and German, with South Korean and Russian editions to come in 2017. Links to the various editions are provided here. 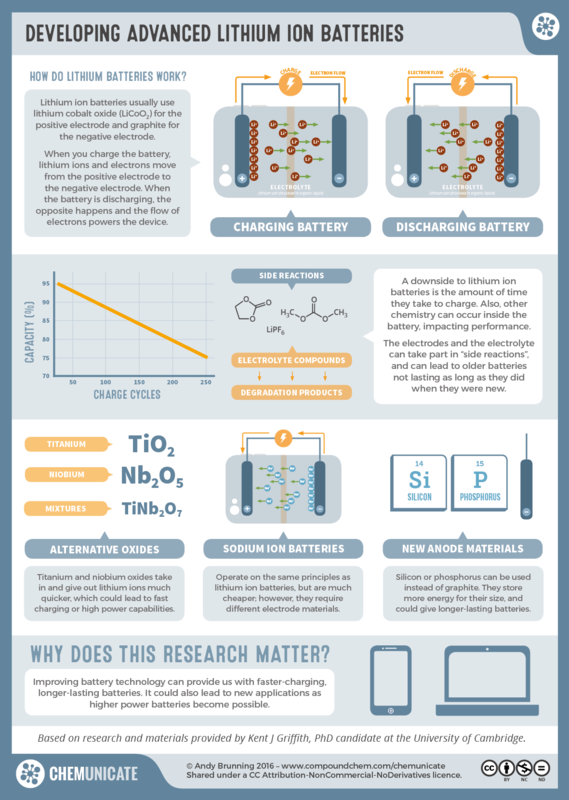 Also ongoing this year were the monthly “Periodic Graphics” I make in collaboration with the American Chemical Society’s Chemical and Engineering News magazine. I’ve already mentioned a couple of them, but you can find the whole haul on their dedicated page here. I was lucky enough to be invited by C&EN to the ACS’s National Meeting in Philadelphia to talk science communication; it was great to meet face-to-face with some science communicators I’ve admired on the internet from afar (such as the ACS Reactions team, Raychelle Burks, and Matt Hartings), as well as the C&EN team (who tolerate me forgetting to change my spellings to the Americanised versions for their graphics every month). Of course it was great to meet some of the people who follow the site stateside too! 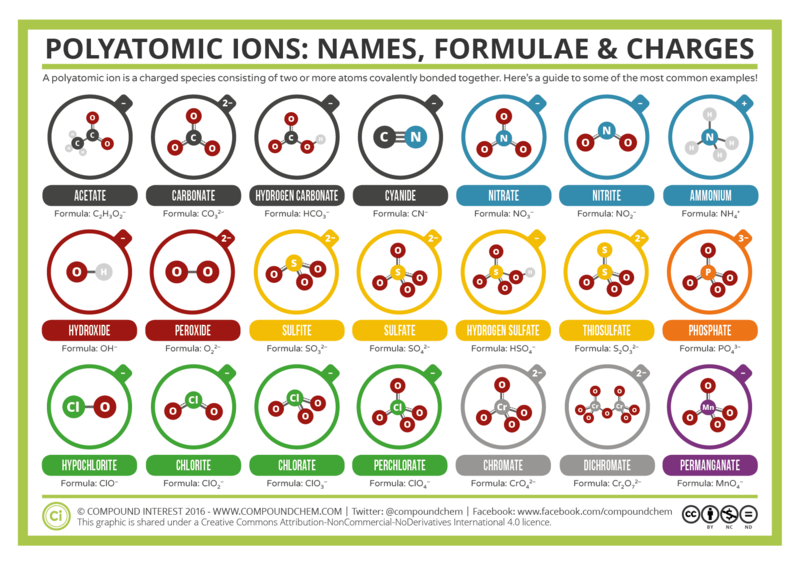 Another aspect of the site is my creation of graphics that are helpful for students of chemistry. Being a teacher myself this has an obvious ulterior motive, as I can press these help sheets into the hands of my students if needed, but I hope they also aid students elsewhere too! Some of my favourites in this category from this year included this graphic on titration, this one on factors affecting the rate of a reaction, this one on the history of models of the atom, this one on acid concentration and strength, and one on some common polyatomic ions (below). This year I also started doing something I’ve been wanting to do for a little while: helping researchers communicate their chemistry effectively. 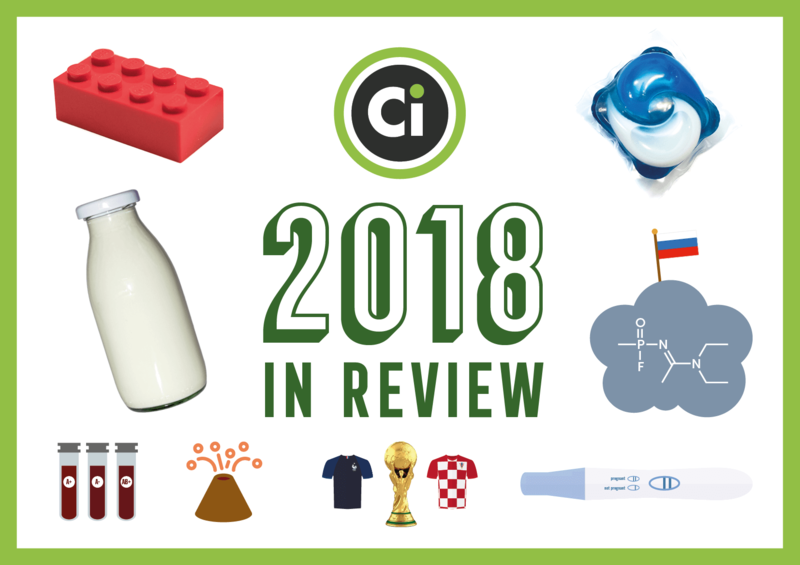 Halfway through this year, I started Chemunicate, a part of the CI site where I make my services available to researchers, companies, and institutions who want to portray their research in easy-to-understand graphics. So far I’ve made graphics for the University of Hull (below) and The Cambridge Crystallographic Data Centre, and there are more commissions in the pipeline for 2017. 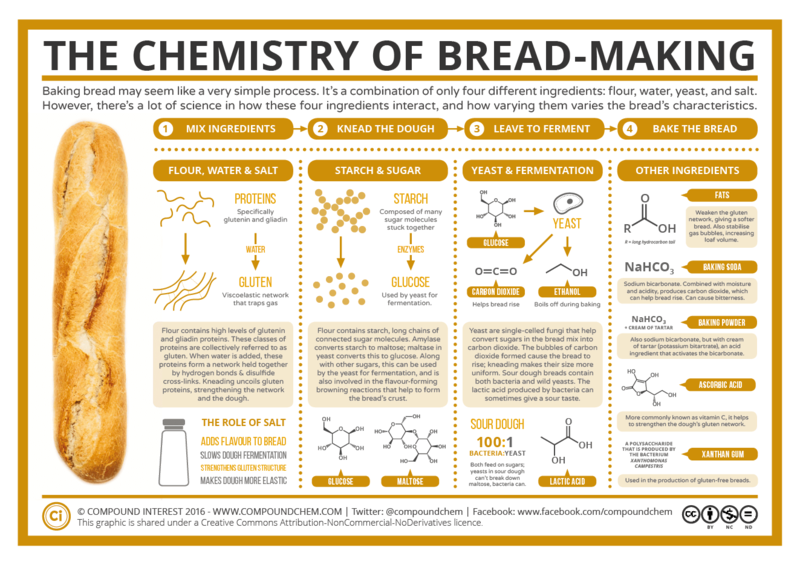 Current chemistry research is so often hard to access or impenetrable if you’re not a practising chemist, so I hope with Chemunicate to make small portions of it a little more accessible! 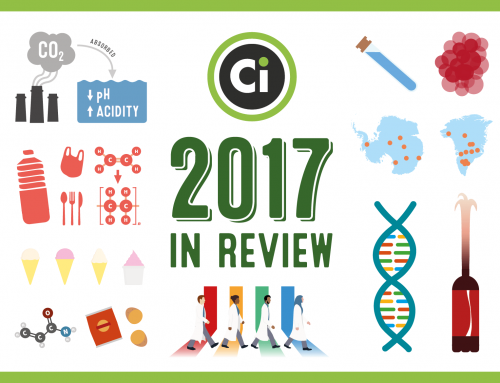 Towards the tail end of 2016, the Chemistry Advent calendar made its regular appearance – if you missed it, you can catch it here. If you’ve followed along for the past few years you’ll have noticed that a number of the posts were repeats from last year. This was in part due to me having a crazy workload in the latter part of the year (I spent the run-up to Christmas making three graphics a day for a project I’m currently working on), and partly because there are only a finite number of aspects of Christmas you can make chemistry graphics on! I’m going to have to rack my brains for a suitable Chemistry Advent next year (open to suggestions). A selection of this year’s chemistry advent posts. We started this review with some good chemistry news, so let’s end on some too. 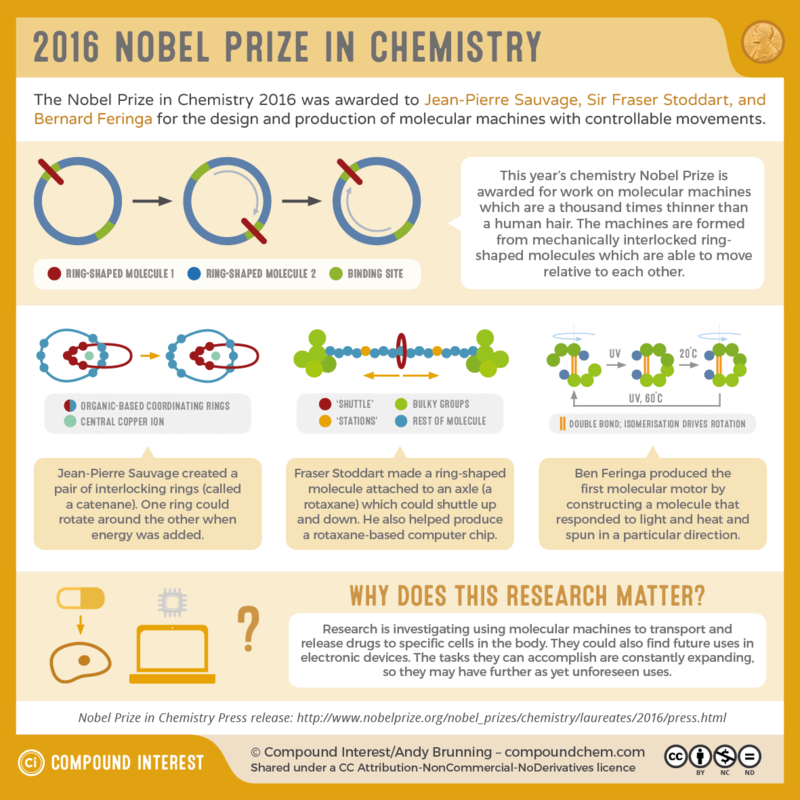 The Nobel Prize in Chemistry was this year awarded to Jean-Pierre Sauvage, Sir Fraser Stoddart and Bernard Feringa for their work on molecular machines. The Nobel Prizes can be divisive (every year there’s debate over whether they should exist at all, and they have a shoddy record of awarding prizes to deserving female scientists) but they do give chemistry some time in the limelight. This year’s award was no different, and I created the graphic below to put the chemistry that received the award this year in simple terms. To finish up this review, I’d like to say a huge thanks to everyone following the site. Your encouragement keeps me motivated to keep producing content for the site, and I hope you continue to enjoy it into 2017. Happy New Year to you all!